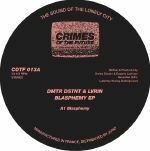 Review: The latest Crimes Of The Future comes from Dimitri Distant and LVRIN, two emergent artists with a penchant for pitch black grooves steeped in the kind of acidic, wavey styles that COTF are consistently striking gold with. "Blasphemy" is a powerful slice of reductionist acid that uses a bare minimum of elements to create a sinister atmosphere to strike fear into the hearts of unwitting dancers. "Dead Sunday" is no slouch in the creepy department either, its clattering beats and bubbly acid line straining against a tape-stretched backdrop of synthesizer malaise. "Achromatic" switches stance to slow, undead electro soaked in embalming fluid and filtered through a B-movie veil for maximum guttural impact. Timothy J. Fairplay - "Plymouth Planetarium"
Scott Fraser - "Wraith not envy"
Review: Exclusive 7" single in conjunction with Mount Alalog Los Angeles presenting Crimes Of The Future label bosses Scott Fraser and Timothy J. Fairplay with 2 exclusive cuts of leftfield house and electro psychedelia... very limited copies! Review: Junior Fairplay steps up with a special one-sided Crimes Of The Future release. While we can't confirm if Junior Fairplay is an alias for Timothy Fairplay, we do know that this upbeat piece of Korg M1-featuring breakbeat house is the kind of 90s throwback music we want to be hearing right now - absolutely essential stuff. Review: 'White of the Eye' is the first release under "Nothing but Blood" from Scott Fraser, a direct link back to Scott's earlier 90's work and sound around the darker realms of techno and harder-edged Chicago house. The EP title refers back to a favourite Donald Cammell film of Scott's from 88'. 'White of the Eye' on the A-side is an 11 minute extended mix of the lead cut. Silent Servant on remix duties delivers an amyl fuelled techno bomb landing somewhere in an 80's new york basement. Diving deeper on B2 it features Atlanta resident Claire Elise Tippins on vocals. 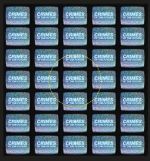 Review: Having appeared only once before with the excellent Reel Nitty Gritty 12" on Echovolt, Paradise Box makes a return on Crimes Of The Future with a new set of crunchy leftfield club tracks infused with house, electro and disco sensibilities. "Hookup" is a cracked and mucky affair, but it kicks where it counts, but then "Running Up That Hill" comes along to impart a more emotive, clear-cut message via a cover of Kate Bush. "Ya Mo Be There" throws down a heavy wedge of 80s synth lines that refigures the James Ingram and Michael McDonald belter in a most unlikely of ways. 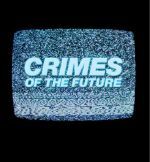 mount analog/crimes of the future 7"